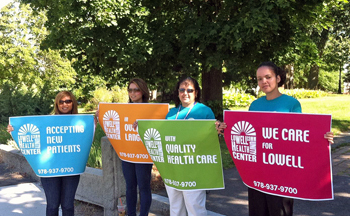 Lowell Community Health Center (LCHC) has served the communities of greater Lowell since 1970 and has grown to include many specialty services in addition to comprehensive primary health care. 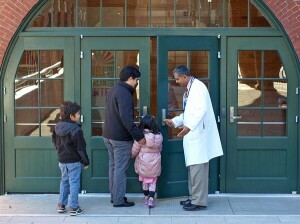 LCHC’s mission is to provide caring, quality and culturally competent health services to the people of Greater Lowell, regardless of their financial status; to reduce health disparities and enhance the health of the Greater Lowell community; and to empower each individual to maximize their overall well being. LCHC is committed to delivering exceptional care that improves the health of its patients through prevention, treatment and education. True to its commitment to quality, comprehensive and culturally competent care, LCHC integrates behavioral health services into its services, and employs staff that speaks a total of 28 different languages. Through comprehensive outreach efforts, including a focus on ethnic and faith-based communities, LCHC tests over 1,800 people for HIV and assists over 325 HIV-positive patients each year. 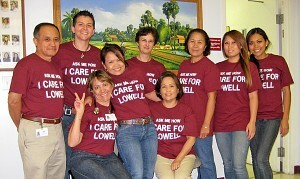 LCHC HIV services staff represents diverse backgrounds and reflect the patient populations affected by HIV/AIDS in Lowell. This past July, LCHC was identified as one of a handful of health centers in the country eligible to apply for HHS’s Partnerships for Care initiative, which provides $11 billion of supplemental funding to support the integration of HIV services into primary care through partnerships between health centers and state health departments. Upon approval for funding, LCHC will be one of six community health centers partnering with the Massachusetts Department of Public Health/Bureau of Infectious Disease on the Massachusetts Increasing Medical Partnerships to Advance Care and Treatment (Mass IMPACT) initiative. To learn more about or support LCHC, click here.